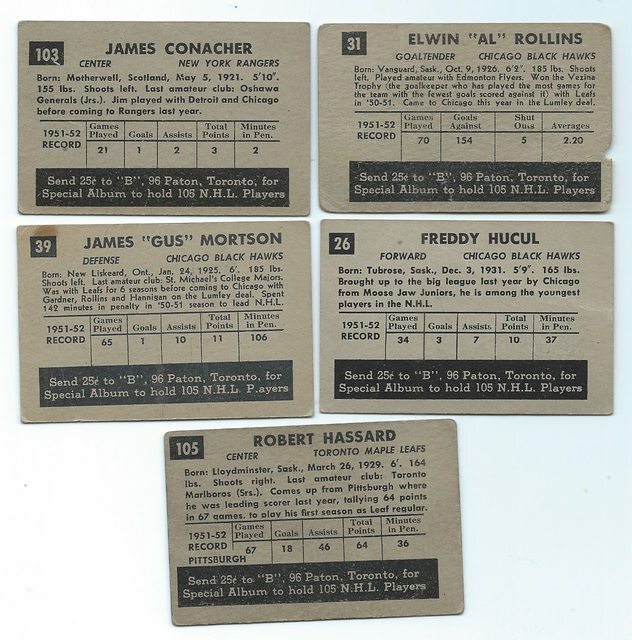 1952 Parkhurst show all "original six" teams in this 105 card set. 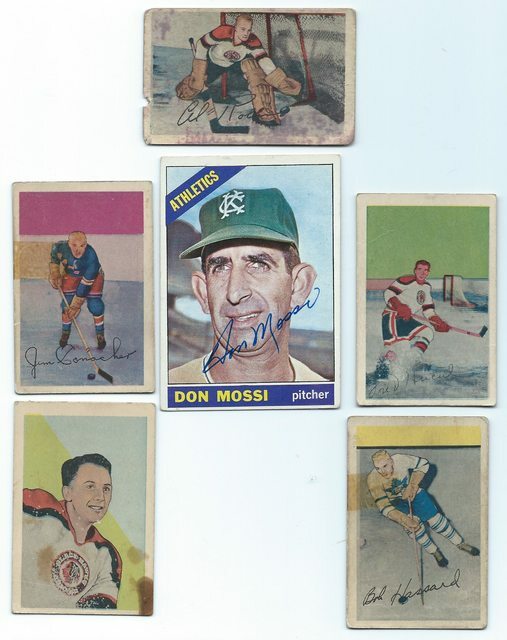 These are nice "little" cards with easy to read backs (the Don Mossi card is shown to compare size to a regular card). I've got 19 of these so far 18% complete.